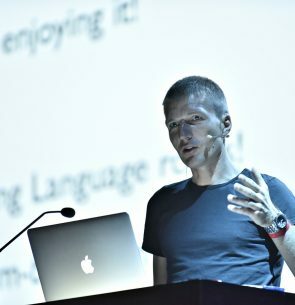 Adam Bien: Java (EE), Jakarta EE, MicroProfile, WebStandards enthusiast. NLJUG Alumni. What happens, when you focus on the domain and ignore the technology? In this session I will hack a full stack application from microservice backend to WebStandards frontend without any esoteric frameworks, technologies or libraries. Questions are highly welcome and are going to be answered in real time.